Flood insurance rates for consumers in flood-prone areas have skyrocketed in recent years as floods have increased damage to homes and other property, causing a huge financial drain on the government flood insurance program. Congress is considering a measure, backed by both Democrats and Republicans, aimed at reducing flood damage and lowering flood insurance rates. Sponsors of the Repeatedly Flooded Communities Preparation Act say it would address issues surrounding properties that are rebuilt after each flood, only to be damaged by flood waters in the future. Instead of rebuilding, the legislation would require communities containing these continually flooded properties to take steps to reduce the flood risk instead of rebuilding, flood-after-flood. The measure, should it become law, would require communities to map the areas where floods have repeatedly caused damage and either improve drainage or institute a buyout program, paying property owners not to rebuild. That step was taken in parts of the New York-New Jersey area following Hurricane Sandy in 2012. The measure would also require repeatedly flooded communities to develop a plan to lower the risks for both property and people. As of now, communities are not required to change their development regulations, no matter how many times they are flooded. 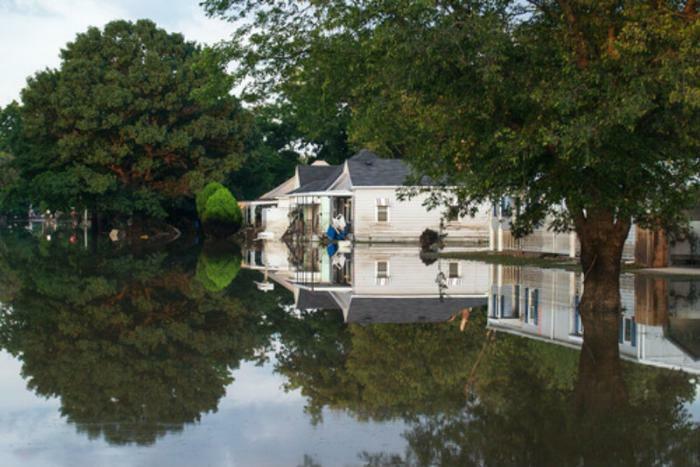 The Pew Charitable Trusts, which has announced support for the measure, has conducted an analysis of repeatedly flooded properties in the U.S. While it says they are few in number, they have an outsized effect on flood damage costs, accounting for as much as 30% of losses. Property owners required to have flood insurance have seen their premiums surge in recent years, in part because the government's flood insurance program has been writing so many checks. Pew analysts say the National Flood Insurance Program (NFIP) is now nearly $23 billion in the red, in part because of high-density development in coastal areas that are prone to flooding. Pew says many of the people with flood insurance have properties that have flooded multiple times and are likely to flood again. It says the best way to end that cycle is to take steps to prevent flooding in the future, or not rebuild flooded properties after they have been damaged.